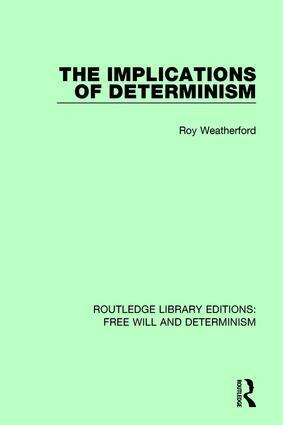 The problem of determinism arises in all the major areas of philosophy. The first part of this book, first published in 1991, is a critical and historical exposition of the problem and the most important ideas and arguments which have arisen over the many years of debate. The second part considers the various forms of determinism and the implications that they engender.